No matter how big or small your business may be, employee theft will continue to eat a significant portion of your annual revenues and profits. It is something that has been around since the beginning of times. No one can deny the fact that businesses are vulnerable to fraud, especially SME entities who suffer excessively huge losses of fraud. SMEs need to ensure effective internal controls in order to create a favorable environment for yielding profits. Although, you may believe that cases of fraud are found in large-scale companies with thousands of employees in multiple locations. The truth is, SMEs are victimized and employees tend to steal from smaller businesses more frequently than larger organizations. Today, organizations have mixed opinions on how to deal with cases of fraud. Some are very proactive and instill policies for prevention; some are lenient and show more sympathy towards their employees on personal grounds. According to studies, organizations with fewer than 100 employees are more vulnerable to employee fraud as they account for the highest percentage of fraud. The thing is, SMEs are more inclined towards generating sales and profits and care less about maintaining effective internal controls and reviewing their bookkeeping records with a fine tooth comb. Each year, SMEs lose billions of dollars in annual revenues and profits worldwide, which bears testimony to the fact that employee fraud is inevitable and it hurts a business’s integrity. With innovative tools, techniques, and practices, fraud prevention and detection is possible. You must choose the right prevention option by making a comprehensive analysis of your business. Obviously, no one knows a business more than its owner and owners have the potential to change the fate of their company. They know their business’s strength and weaknesses and can possibly turn things around in their business’s favor. In organizational setups, SMEs have scarce resources in which they need to ensure whether everything is in control or not. Business owners need to know how to create and maintain internal controls by implementing a properly designed fraud prevention and detection plan with limited resources. Why do Employees Steal from their Company? There are primarily two reasons why employees get involved in fraudulent activities in an organizational setup; when they are undervalued and underpaid. These two things work as fuel for them and, if it’s not there, the employees feel discouraged, demotivated, and left out. Moreover, you can only expect your employees to work efficiently if both of these things are ensured by the owner. When these two things aren’t there, the owners can expect their employees to be involved in fraudulent activities through various means. Organizations can catch up with their fading fate by creating, implementing, and practicing the proper internal controls. Moral and financial corruption eats up an entire organization, slowly and gradually. Diminishing profit margins and draining profitability leads a business towards a complete disaster. Owners who are eager early on to get their organization’s operations back to normal may have a slight chance of success. But, those who react when the time has already passed achieve very little or no success at all. Some organizations choose to hire professional managers who can turn things around on their organization’s behalf. This seems like a smart choice, especially for those who are good at yielding sales and profits but lack managerial skills to maintain the right internal controls. Organizations need to prevent and detect fraud in a way that others working in the company aren’t bothered. By slightly modifying the existing organizational processes, companies are often able to overcome business challenges in an effective manner. Sometimes they are successful, sometimes they fail. It all depends on how well you leverage your internal controls. For a typical company, separation of duties is a critical tool that helps evaluate performance on an individual scale. This way, you get to know whether your employees are stealing from you or not and, if they are, you will know who is stealing! Additionally, you need to make sure that your employees abide by the policies and procedures. Encourage your employees to document each and every thing for you to know what exactly is lacking or where the problem is exactly. 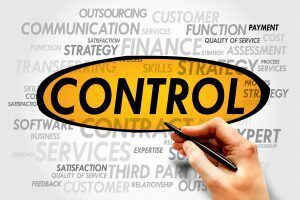 These are some of the ways by which you can maintain a proper internal control in your organization.